I first discovered this in the tuck shop of my school when I was in Primary 4. It was simple fare. 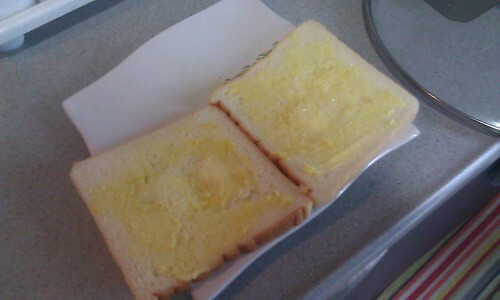 Charcoal toasted bread, slathered with Planta margarine and the last and most important ingredient - White Sugar. Lotsa lotsa lotsa white sugar for that crunchy texture.